Here at The Flag Shop, we take our role in the community seriously. 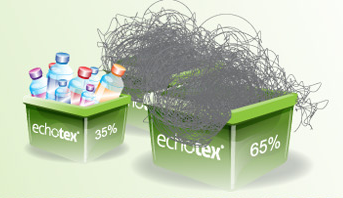 We give back when we can in the best way we know how – with our time, resources, and expertise. So we couldn’t resist when Jennifer Hao phoned up out of the blue to find out about getting a banner printed for the Burnaby Youth Sustainability Network – a community project she had spearheaded on her own after having helped her school win the Canada’s Greenest School contest in 2010. She didn’t know exactly what she was looking for, but fortunately, she got to speak to Susan who was working after hours and decided to donate the banner to the budding civic organizer. 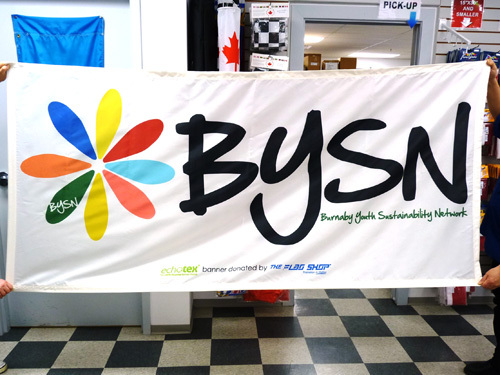 Printed on Echotex®, the 46″x96″ banner shows off the logo of the organization and will be used at their events including the upcoming Do It Green Burnaby 2011. We wish them the best of luck! Did you know that Canada has its own official Tartan? In addition to icons such as the maple leaf and the beaver, the Maple Leaf Tartan joined the list of national symbols in March of this year. 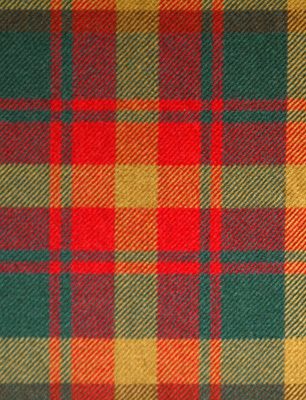 The tartan, designed in 1964 by David Weiser, weaves together green, gold, red, and brown to symbolize the shifting colors of the maple leaf through the seasons. In addition, each province and territory (except for Nunavut) has its own official tartan and there are many other regional tartans recognized across Canada. Though it’s been celebrated province-by-province since the 1980s, tomorrow is Canada’s first official Tartan Day since the government only officially recognized it as a federal holiday in October 2010. Many Scottish cultural associations celebrate with different events on this day or on the following weekend. We don’t yet have the Maple Leaf Tartan flags, but our tartan flag supplier is hard at work on the design. Meanwhile, you can see his other work in our tartan flags section. You are currently browsing the The Flag Shop Blog blog archives for April, 2011.